Quick Reporter reports made easy. 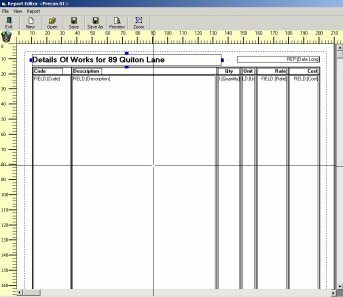 QuickReporter gives you the ability to connect to a Datastore and produce a report based on the data. WYSIWYG editor fully drag and drop enabled. Auto creation of SQL statements. Condition setting to format the data. Select a Datastore to be used as a basis for the Report. Then add your SQL statement or let the software create it for you. From there you can test the connection and/or view the data that would be returned. WYSIWYG Editor (what you see is what you get) . Drag and Drop elements to the editor then position and resize them as neccessary. Add text fields, report fields or Datastore fields as needed. 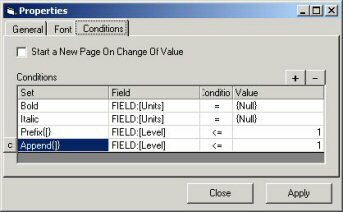 Change the properties and conditions for each field. Set Properties and Conditions against report fields to make each report row unique. These can be set against any field in the data returned from the datastore or other report fields. 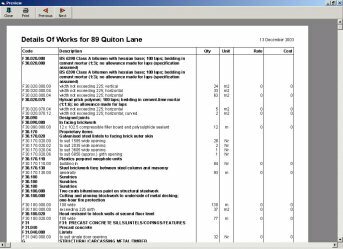 The final report can be multiple pages and have collections. See the examples for a more detailed explanation.